Gazebos can provide shelter from sun and rain, adding a fun and casual entertainment area or attractive work area to your yard or garden. Free gazebo plans have styles to provide shelter for a hot tub or provide a convenient potting shed and storage area for garden tools and supplies. Choose from plans that are square, hexagonal, octagon or have a touch of the orient. Some models have half-walls or railings while others feature lath panels to add privacy but allow breezes to keep your room cool. Plan a children's playhouse gazebo that features a ladder and play loft with a portal window. Use cedar and decorator trim to create a unique entertainment area to delight dinner guests at your next barbeque or cookout. Plan your gazebo to include electricity to maximize the usefulness of your outdoor living space. Here are detailed blueprints plus instructions for creating a hexagon shaped gazebo. 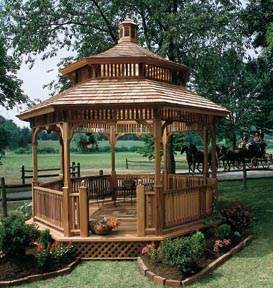 This octagon shaped wooden gazebo measures 12 feet in diameter for plenty of space. Here are plans on building a covered octagon shaped deck or gazebo that will last for years. Re-purpose an old satellite dish by turning it into an outdoor hut with a tropical appeal. Build a simple octagonal gazebo that will give family and friends a place to relax in the shade. 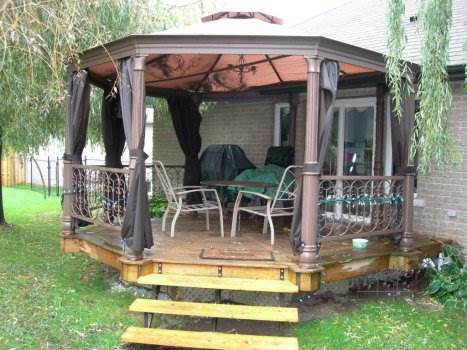 Build this attractive gazebo that measures 8 x 8 ft. It will add a gathering place that's cool and comfortable. 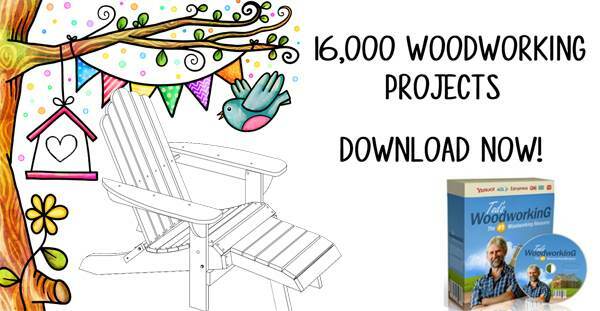 This project has instructions to help you build a good looking gazebo using a gazebo kit. 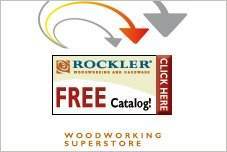 Here are detailed plans with a list of needed materials to build an attractive gazebo.